One of my favorite treats is hummus. I used to buy it ready-made at the supermarket but the price jumped up so I went looking for recipes. If you have a food processor, it’s one the easiest things to make, even if you never cook. I like to add roasted red peppers to mine. Another great addition is sun dried tomatoes. Here’s a recipe to try and don’t worry if you can’t find the tahini, I often make it without and it’s just as good. 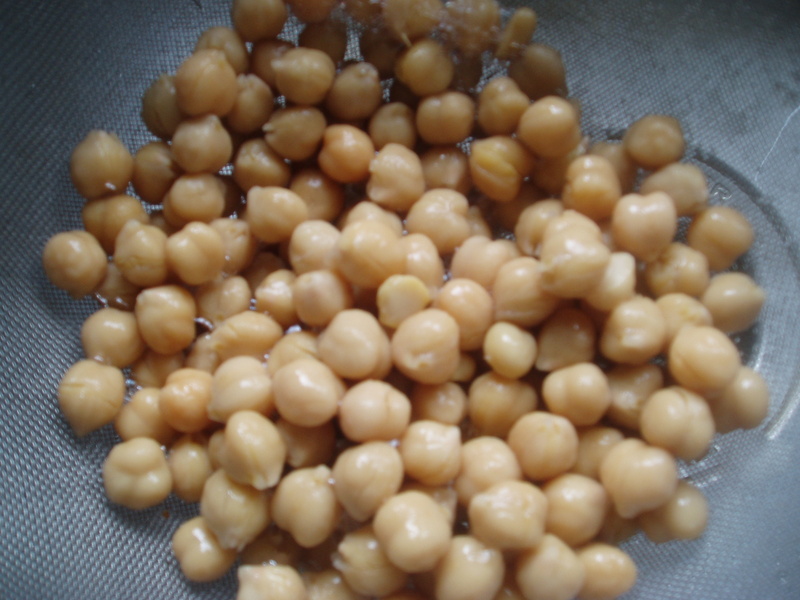 Whenever I cook a batch of these beans I keep a cup or two in the fridge for adding to salads throughout the week. I also substitute them for the chicken in cobb salad. Best thing is they have lots of texture and I think even more filling than other beans. Other dishes I always add them to are curries and I often pair them with tuna, cumin, chopped tomatoes and serve them over couscous for a quick meal. In a large sauepan, heat the oil and add the onions and garlic. Cook until soft and transluent. Add the carrots and the basil and some salt and pepper and cook for about five minutes. Add the green pepper, zucchini, can of tomatoes, tomato sauce, beans and water and cover and simmer for about 15 minutes. This serves about 4-6 and I like to add shredded cheese, chopped olives and some slivers of fresh basil on the top. It’s a hearty soup that is great with some Italian bread.